The following blog post is another in the Alliance’s“Core of the Matter” blog series focusing on the implementation of the Common Core State Standards and struggling students. It was written by Dr. Terry Holliday, former Kentucky Commissioner of Education and President of the Council of Chief State School Officers. Kentucky has long been a pioneer of standards-based reform. In 2009, the Kentucky General Assembly continued that tradition by passing Senate Bill 1, which placed Kentucky at the front of the education reform efforts focused on college readiness. That legislation required the Kentucky Department of Education, Council for Postsecondary Education, and the Education Professional Standards Board to collaborate in the development of college-ready standards, aligned assessments, accountability models, and professional development for educators to implement the legislation. As with most states, Kentucky had a high percentage of postsecondary enrollees who had to take remediation classes due to inadequate preparation they received in high school for college-level academic work. The research was very clear that students who took college remediation coursework were less likely to complete a two- or four-year degree and often would end up with significant student loan debt. In 2009, only 30 percent of Kentucky high school graduates reached college-readiness benchmarks. Once the state implemented the new legislation in 2010, the percentage moved to 34 percent. After the education community and partners established a goal of reaching 67 percent by 2015, though, Kentucky made a steady improvement march. In 2011, the percentage of college-ready graduates improved to 38 percent, in 2012 to 47.2 percent, in 2013 to 54.1 percent, and in 2014 to 62.5 percent. Finally, the Class of 2015 reached the target goal of 67 percent of graduates achieving college readiness. What happened in Kentucky is a story of innovation and collaboration, most notably among the state’s postsecondary education institutions. The Council for Postsecondary Education led all of the two- and four-year colleges into agreement on the definition of college readiness and the measures to determine a student’s readiness. To reach college readiness a high school graduate should be academically prepared to take an entry-level credit-bearing course in English language arts (ELA) and mathematics. The postsecondary community then did something that very few states have accomplished—it agreed on measures and benchmark levels for student performance that would indicate college readiness. The measures were the same measures that the postsecondary community had been using for several years—ACT reading and math scores, COMPASS reading and math scores (the placement test developed by ACT), and a state-developed on-line placement test in math. 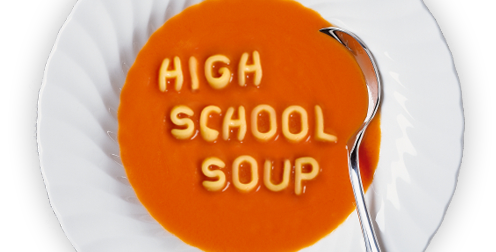 When the postsecondary community agreed upon a definition, measures, and benchmarks for college readiness, members of the K–12 community had specifics they could communicate to parents and students. Also, the state aligned its ELA and math assessments in grades three through eleven to the college-readiness measures so parents and students would know each year if the student was on track to reach college readiness by grade twelve. In addition, the K–12 community collaborated with the postsecondary community to offer students multiple opportunities to take college-ready assessments during high school. Every student in Kentucky takes the ACT as a junior. With this universal assessment, Kentucky was able to identify thousands of students—many of them students of color and/or from economically disadvantaged families­—who had potential to achieve college readiness with additional support during their senior year. Many of our high schools worked with their college partners to bring the college remediation courses to the high school level. These courses, together with coaching support and additional opportunities to take COMPASS and the state postsecondary placement tests, enabled large numbers of students to reach the college-readiness benchmarks. Since they would not have to take postsecondary remedial coursework if they reached college-readiness benchmarks during their senior year, students were highly motivated due to the potential cost and time savings. Kentucky faced numerous challenges implementing these reforms, including gaining support from teachers. Kentucky asked each school district to send three of their best ELA and math teachers to regional meetings as soon as the state adopted the new standards in February 2010. More than 1,000 teachers worked to deconstruct the standards and develop teacher-friendly support materials to help Kentucky classroom teachers implement them. Principals and district central office staff also met with staff from the state department of education and the teachers to develop individual school and district plans for implementing the standards. These local plans led to educator buy-in and support. Kentucky also faced the challenge of gaining support from parents and communities. To build this local support, the Kentucky Chamber of Commerce traveled the entire state to discuss the need to better prepare our high school graduates for the workforce. Meanwhile, the Kentucky PTA developed materials to explain the state’s new college-ready standards and reasons for adopting them and asked its local chapters to share the information with parents. Similarly, the Prichard Committee for Academic Excellence, a private nonprofit education advocacy group, developed an aggressive communications plan and worked with many local groups to explain why Kentucky was implementing the standards. While many states have experienced significant pushback from stakeholders concerning the implementation of higher standards, Kentucky was very successful with implementation and continues to have widespread support across all groups. Kentucky attributes this success to the vision of the 2009 legislation, strong collaboration across all stakeholder groups, early involvement of teachers in implementation, and an excellent communication plan that connected the reform efforts to what parents want for their children. Additionally, Kentucky strongly resisted efforts to tie test scores to teacher evaluations. The success of the work is evident in the rapid increase in college readiness among Kentucky students, particularly among students of color and those from economically disadvantaged families. 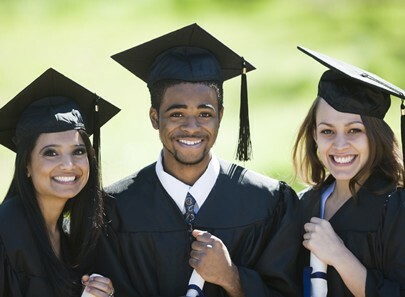 African American graduates improved from less than 20 percent reaching college readiness in 2009 to 43.2 percent in 2015. That same year, the rate of college readiness among Hispanic students reached 55.8 percent and the rate for students from economically disadvantaged families reached 55.3 percent. The ultimate proof of Kentucky high school graduates achieving college readiness is their actual performance at the college level. In 2013, Kentucky began to use the High School Feedback Report to compare postsecondary education success rates for students who had reached college-ready benchmarks with those who had not reached the benchmarks. At the completion of their first year of postsecondary work, college-ready students had a higher grade point average (2.6 versus 1.7), had completed more credit hours (22 versus 11), and returned for a second year of postsecondary education at higher rates than their noncollege-ready peers (85 percent versus 65 percent). Meanwhile, postsecondary programs are benefitting from increases in second-year return rates and project an increase in degree attainment since students who enter college prepared for college-level work will have improved outcomes. There is much work left to do in Kentucky to ensure equity of opportunity for all students to reach college readiness, attend postsecondary education, and attain a degree. Kentucky’s story is one of collaboration around a common vision and targeted goals; strong implementation plans for college- and career-ready standards, aligned assessments, and accountability systems; and support systems for educators and students. Kentucky has a long history of education reform efforts and numerous sources of evidence that “staying the course” will reap benefits for students. It was my honor to work for over six years beside tremendous educators and community partners to implement the vision that the General Assembly had when it passed Senate Bill 1 of 2009. Terry Holliday, Ph.D., served as Kentucky’s commissioner of education from July 2009 until his retirement in August 2015. You can follow him on Twitter @comhldy. For more about Kentucky’s reform success, watch the Alliance’s Digital Monograph Series.